Before you buy a hardwood floor you should consider the future health of the planet. Every second an acre and a half of rainforest is cut down. In 40 years there will be no rainforests left. Rainforests are the lungs of the planet. 25% of pharmaceuticals have been derived from rainforest flora and as yet we have only tested 1% of that flora. Add all of this together with the idea that the hardwood for your future floor might very well be coming from a rainforest and think about it. Doesn’t it make you feel bad? Doesn’t it pang your conscience? It should do. And the answer is simple. The answer is bamboo. 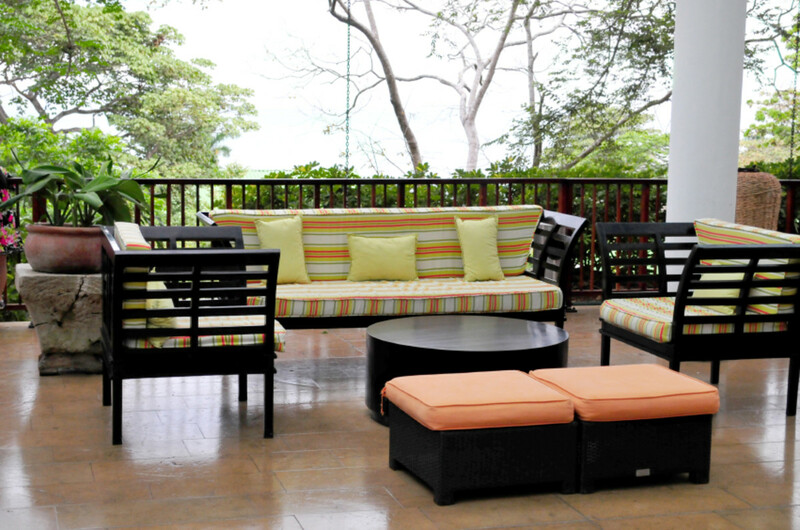 Bamboo is not a wood, it is a grass; and yet, it is strong and durable and has a ‘wood like’ grain and appearance. 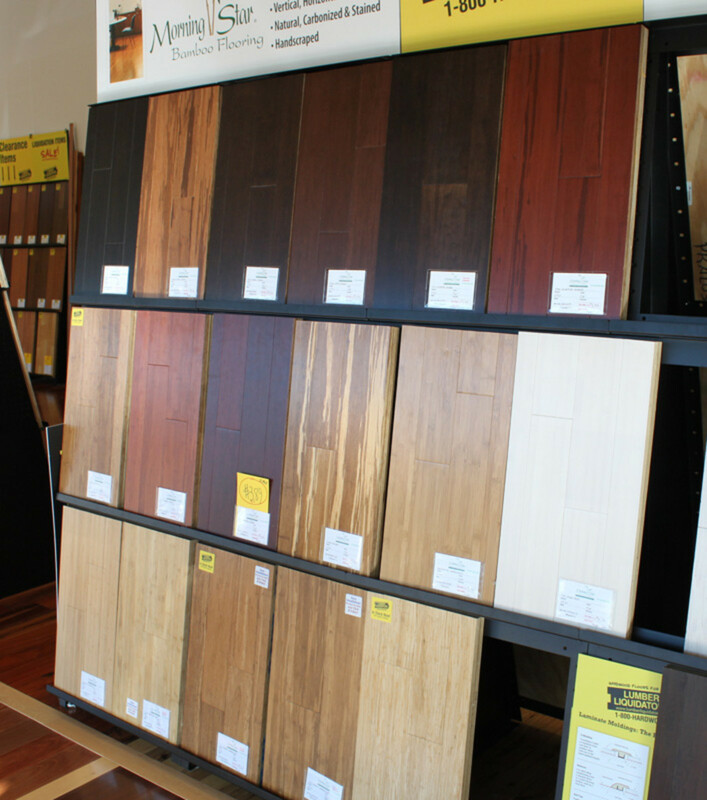 Bamboo can make flooring that is just as attractive as hardwood flooring but for half the price. Now isn’t that unusual – something that will salve your conscience and save you money. So please let me tell you a few things about bamboo and about bamboo flooring. Bamboo reaches maturity in 4 to 6 years. It is the fastest growing plant on the planet. In some cases it can grow 24 inches or 60cms in a single day. For this reason bamboo can be considered a renewable resource and it is easy to sustainably produce large quantities of bamboo for our consumption. Bamboo does not need to be planted because it puts out shots to regenerate. Bamboo naturally produces a chemical that fights pathogens and pests so it can easily be cultivated in an organic fashion. And there’s more. 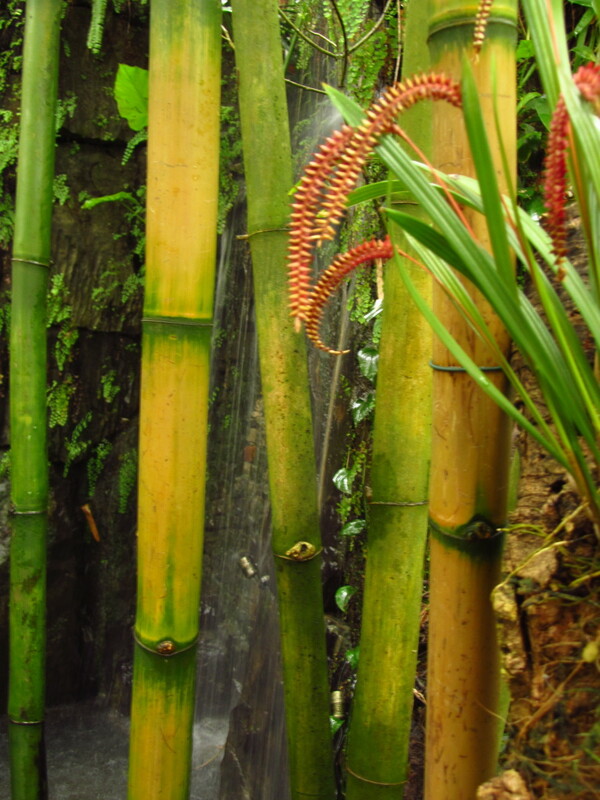 Bamboo does not drain the soil of nutrients; rather, it adds to the health of the soil. After the Hiroshima atomic bomb attack bamboo was planted to help clean the soil of radioactive elements. And on the subject of nutrients, bamboo shoots are full of nutrients and an important source of food in the developing world. Bamboo can be used to make houses and furniture, it can be woven into baskets and it can be pulped into paper. In Asia bamboo is used for a thousand and one different things. It is at the heart of the people’s lives and culture. 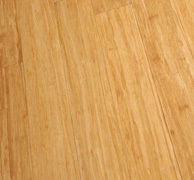 There are four main types of bamboo flooring. The first is engineered bamboo. 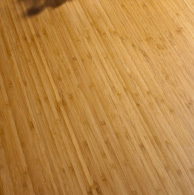 This is the least environmentally friendly type of bamboo flooring because it is made of pine with a bamboo lamination. I don’t see the point to this type of bamboo flooring. 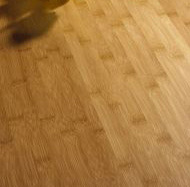 The second type of bamboo flooring is horizontal bamboo flooring. It is made by aligning three strips of bamboo wide face up. These strips are laminated and glued together. The result is a plank of bamboo flooring with the distinctive growth rings of the bamboo clearly showing. The next type of bamboo flooring is vertical bamboo flooring. It is made by placing three strips of bamboo edgeways and laminating and gluing. The growth rings are less evident and the pattern is more brush like. The final way for making bamboo flooring is to make strand woven bamboo flooring. This is the most environmentally friendly way to make bamboo flooring because it uses all of the bamboo stalks. It is made by cutting the stalks and allowing them to dry. Then the stalks are heated to allow most of the sugars to be removed. Next the stalks are compressed together under high pressure with a low VOC adhesive. The result is a light clean looking plank of bamboo that is nearly twice as dense as horizontal or vertical bamboo. With horizontal, vertical or strand woven bamboo it is popular to further treat the bamboo by subjecting it to a steaming process. This streaming process caramelizes the remaining sugars and turns the bamboo a darker and richer color which looks a bit like mahogany or other darker hardwoods. This is called carbonized bamboo. The only draw-back with carbonized bamboo is that carbonization can reduce the strength of the bamboo by up to 30%. It is worth discussing this with a bamboo supplier before committing to a purchase. Nowadays bamboo flooring is stained and sometimes a mixture of natural and carbonized (this is called ‘tiger’) so as to produce a whole range of colours and textures. The palette is further refined by bamboo that has been hand-scraped to create a very natural wood texture to the bamboo. In short there is a bamboo flooring of the shade and texture that is suitable for your room. 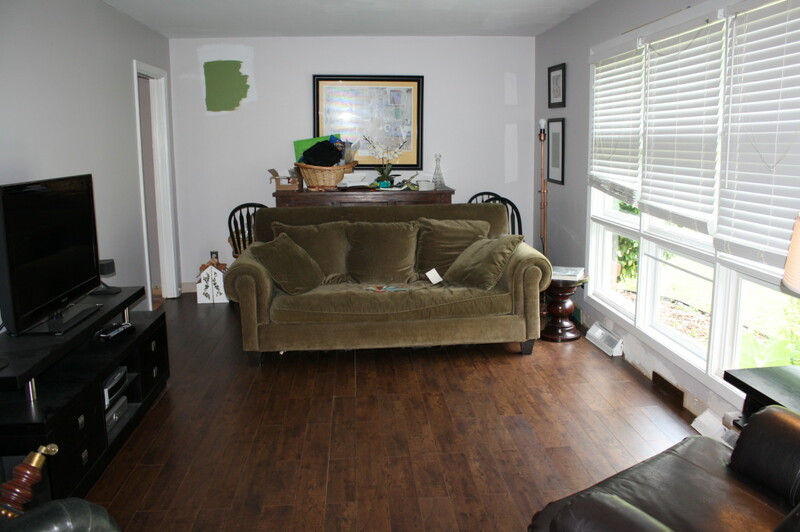 There is no excuse to buy a hardwood floor because no type of bamboo floor looks correct. Bamboo flooring is easy to install. It is a very versatile type of flooring that can be laid in a number of ways. 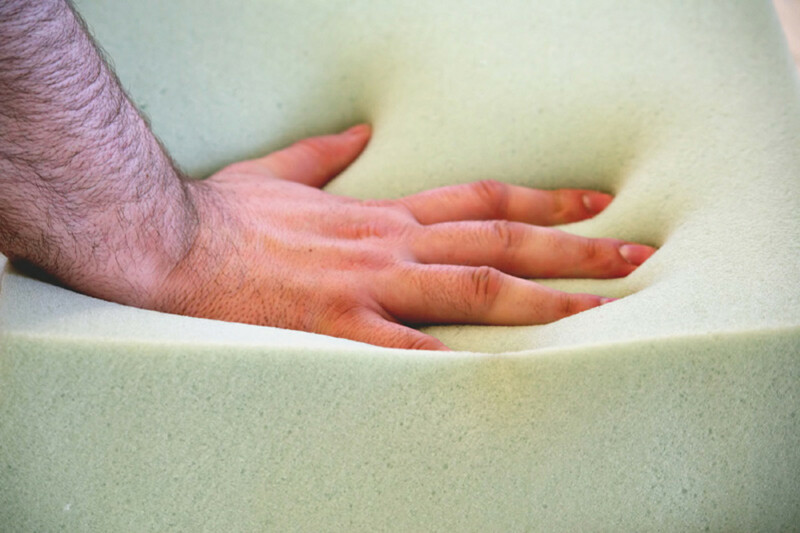 It can be glued directly to a concrete subfloor (except in a basement), it can be put on an underlayment in a floating style of installation; and, it can be nailed or stapled onto a sub-floor. 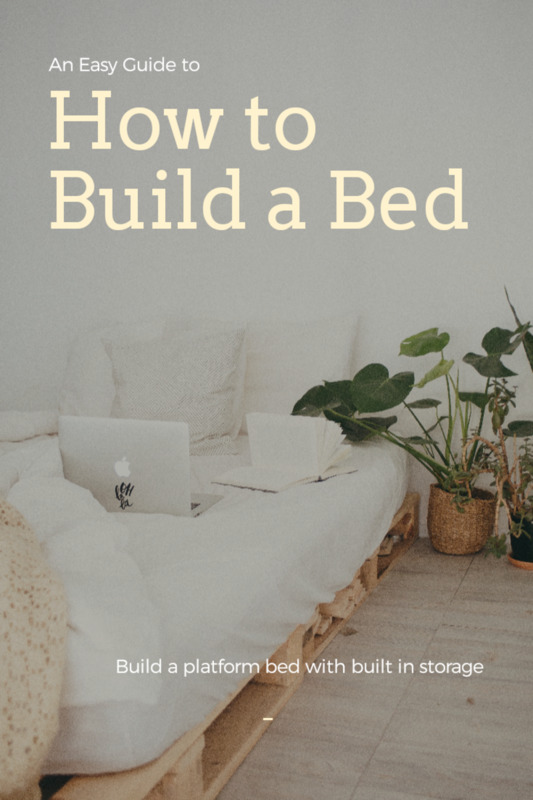 It is a popular misconception that bamboo flooring while being environmentally friendly in itself is often cultivated in an un-environmentally friendly fashion. The Forest Stewardship Council (FSC) has been doing extensive work in Asia and China, in particular, to improve the farming practices of bamboo. They train bodies to give out environmental certification. 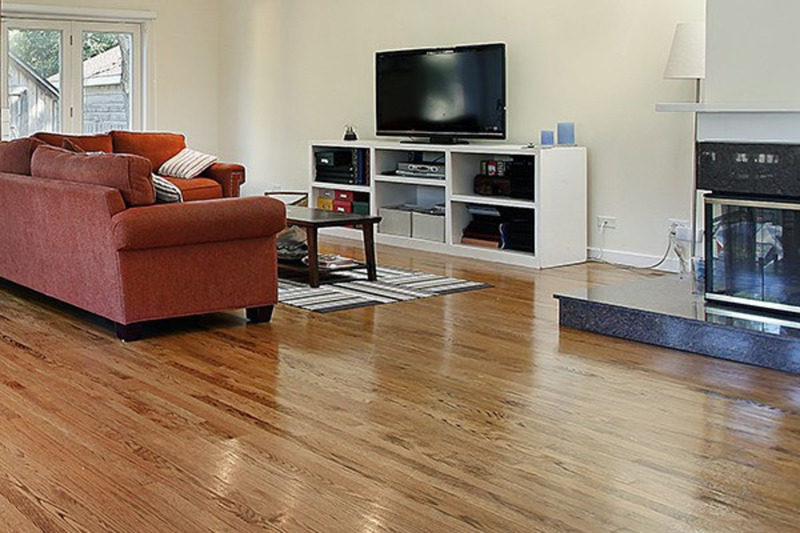 There are now dozens of FSC accredited companies offering bamboo flooring. Finally, bamboo flooring is allergen free and easy to maintain. Unlike normal hardwood flooring it doesn’t need to be sanded and re-stained because the carbonized color is throughout the bamboo plank. To clean your bamboo floor simply use a dust mop. For a more thorough cleaning consult the supplier. They will often have specialist advice to give. If properly maintained bamboo flooring can lasts just as long as any hardwood floor. It is just as strong and just as beautiful. It is allergen free and it is cheaper than hardwood flooring. All of this is worthy of consideration before you go out and shamefully by a piece of rainforest, a piece of the future health of the planet. A look at the health benefits of far infrared rays. Bamboo charcoal gives off far infrared rays. On January 27th, 2011 the India Times ran the story of fears of famine in Wayanad Wildlife Sanctuary in Tamil Nadu in Southern India. The cause of the possible famine is the mass flowering of bamboo. What Can Bamboo Charcoal Do? All about the amazing properties of bamboo charcoal. 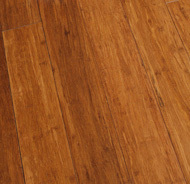 Strand woven bamboo flooring is a strong and durable alternative to hardwood flooring. It is 50% cheaper than hardwood flooring and is easy to install. Bamboo is a renewable resource. A guide to cleaning and maintaining cork flooring. The Honeywell RTH7500D costs less than $60 and can save you more than $700 a year on heating and cooling costs. This good news for you and the environment. Oak trees are become rarer and rarer. Because trees of the Quercus genus are so useful, beautiful and strong they are too prized. Watching the scenes of the devastating oil spill in the Gulf of Mexico has surely made many people realize the risks and hazards the world faces in maintaining its present addiction to oil consumption. Using reclaimed hardwood flooring also makes good environmental sense. The Honeywell Thermostat reduces your heating bills. Installing the Oxygenics TriSpa Shower head will save you water and money. Green is the new black. 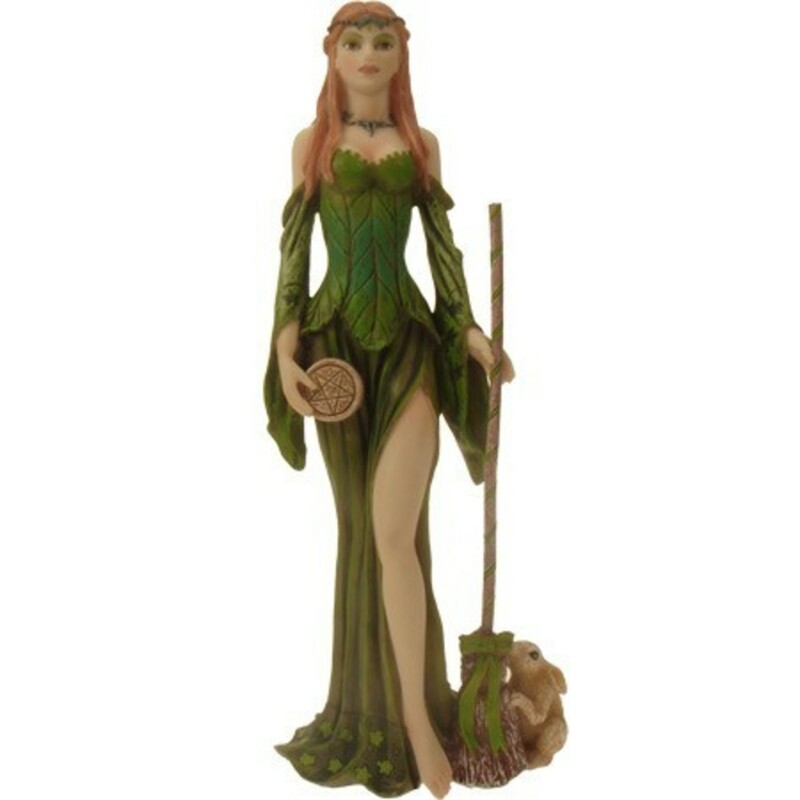 Everything should be green and environmentally friendly. A look how green principles can conflict. I found the gluing method to be quite challenging because of the tendency of the floor to shift (slide) out of position as I continued to lay more down. Also the glue was exceedingly expensive and probably noxious. I recommend nailing.